HTC and Motorola may have done their best to whip Android's interface into shape, but it looks like the folks at Larva Labs still weren't satisfied with the options available, so they've naturally gone ahead and designed their own UI (with a little help from Ideas on Purpose). While it's unfortunately still just a concept, the firm's so-called "Intelligent Home Screen" does bring plenty of interesting ideas to the table, which Larva Labs says should help it "appeal to Blackberry owners and people struggling with information overload." The centerpiece of the concept is a home screen divided by a (slightly familiar looking) slider bar, which puts personal items like emails up top and general interest stuff on the bottom, with relevant apps accessed by the icon on the right-hand side of the screen, and everything else relegated to a separate menu. Hit up the read link below to check it out in action. 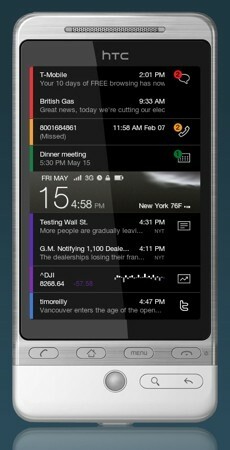 Larva Labs proposes 'intelligent' Android home screen originally appeared on Engadget Mobile on Mon, 21 Sep 2009 14:56:00 EST. Please see our terms for use of feeds.